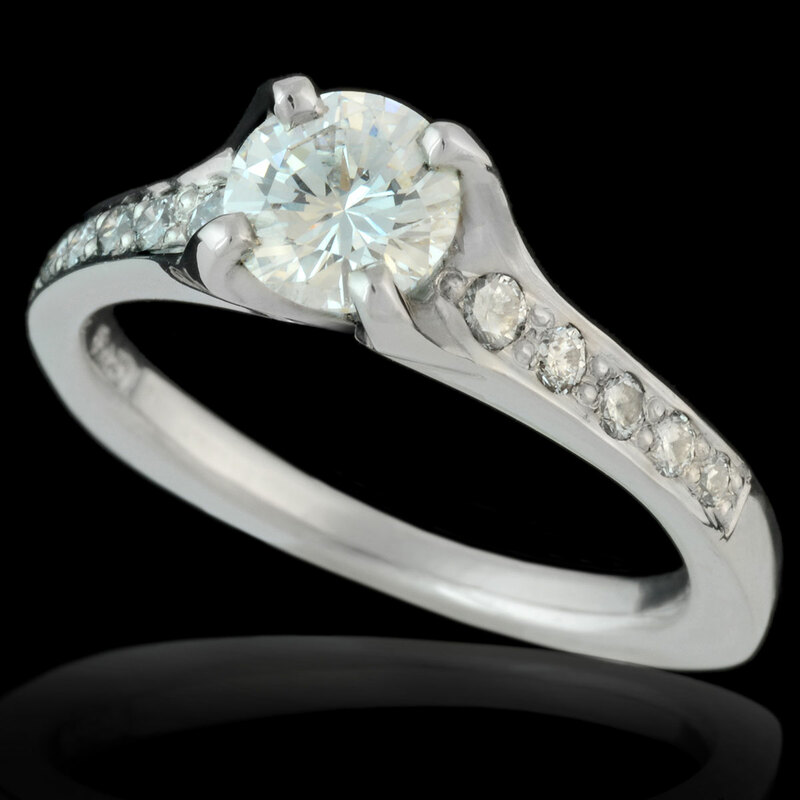 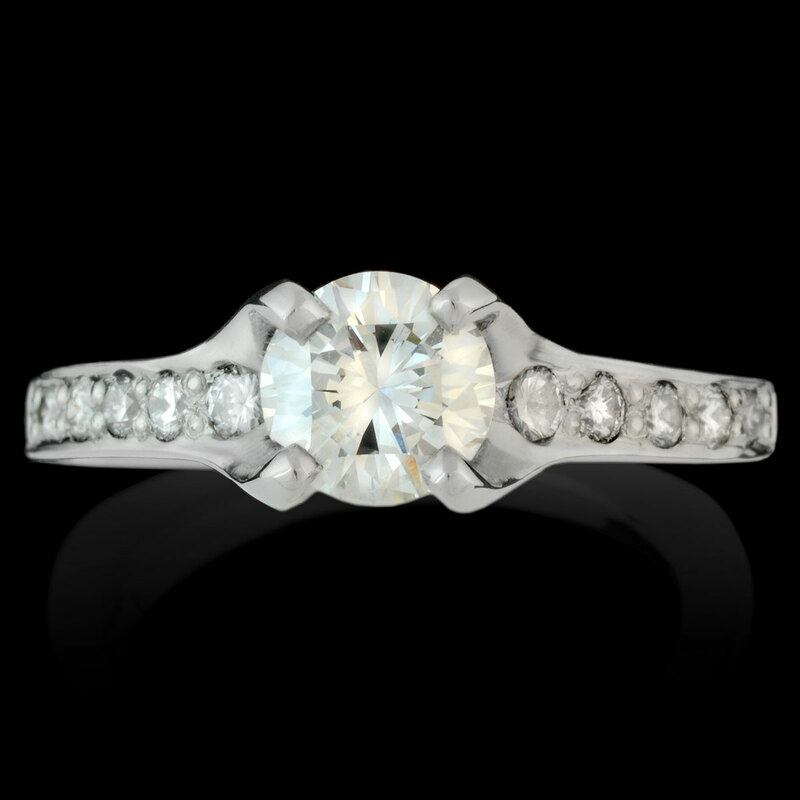 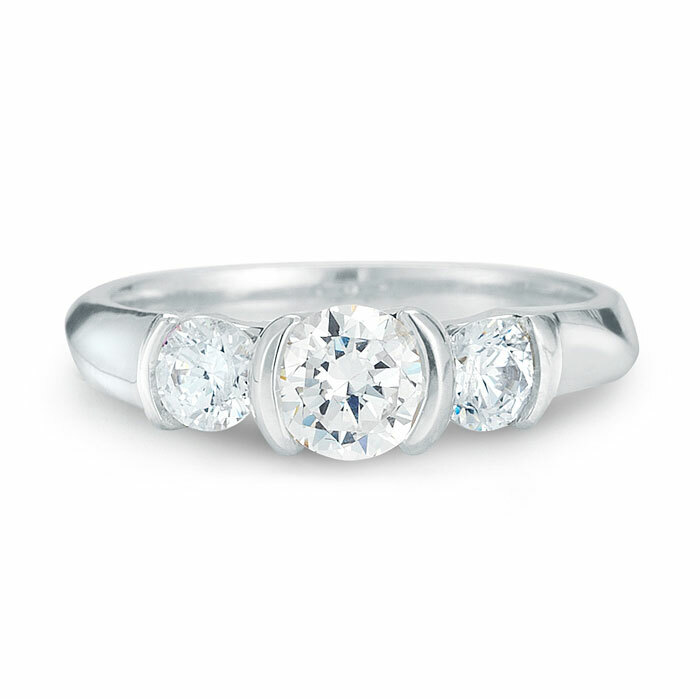 This is a classic four prong engagement ring with a more unique look. 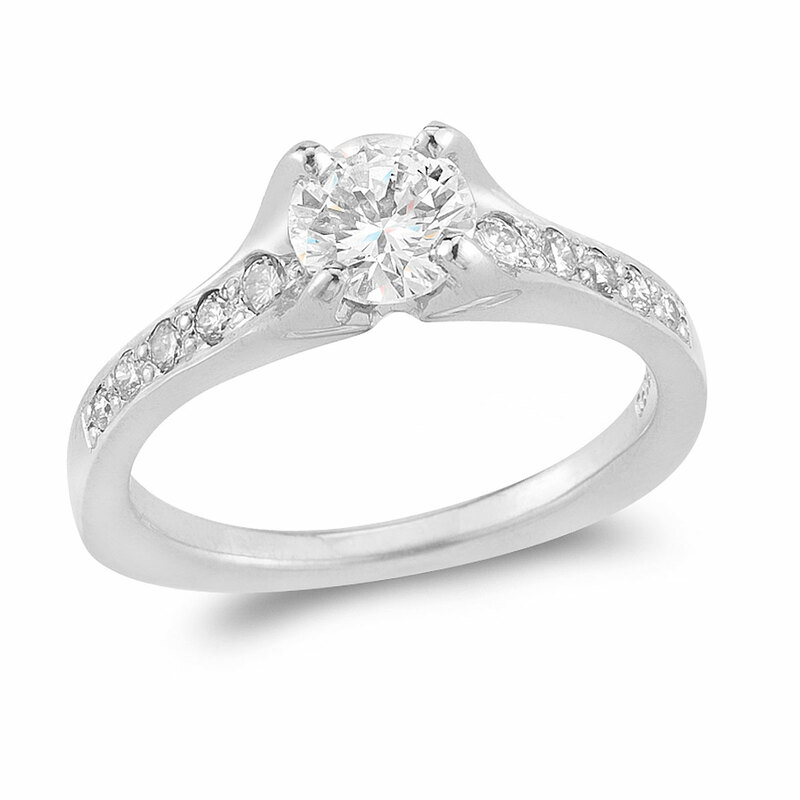 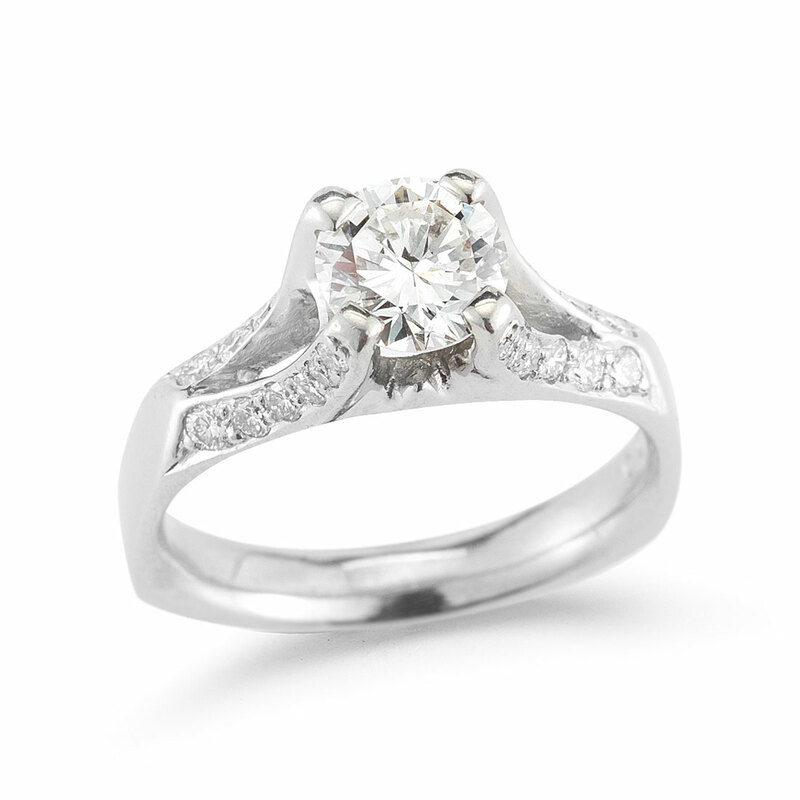 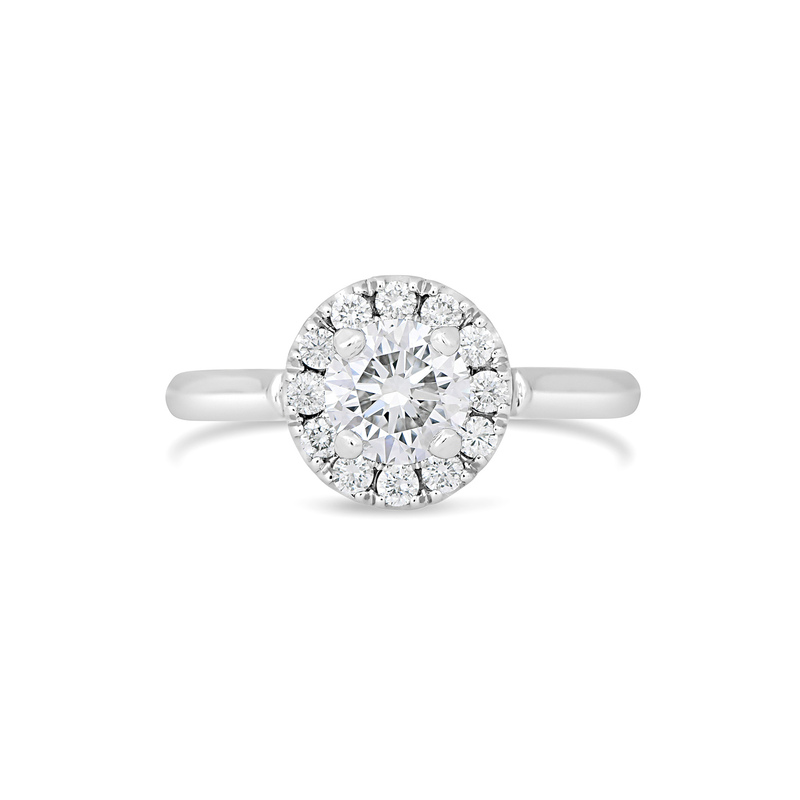 The prongs that hold the main diamond raise up from the ring shank and is accented on either side by 5 bead set diamonds. 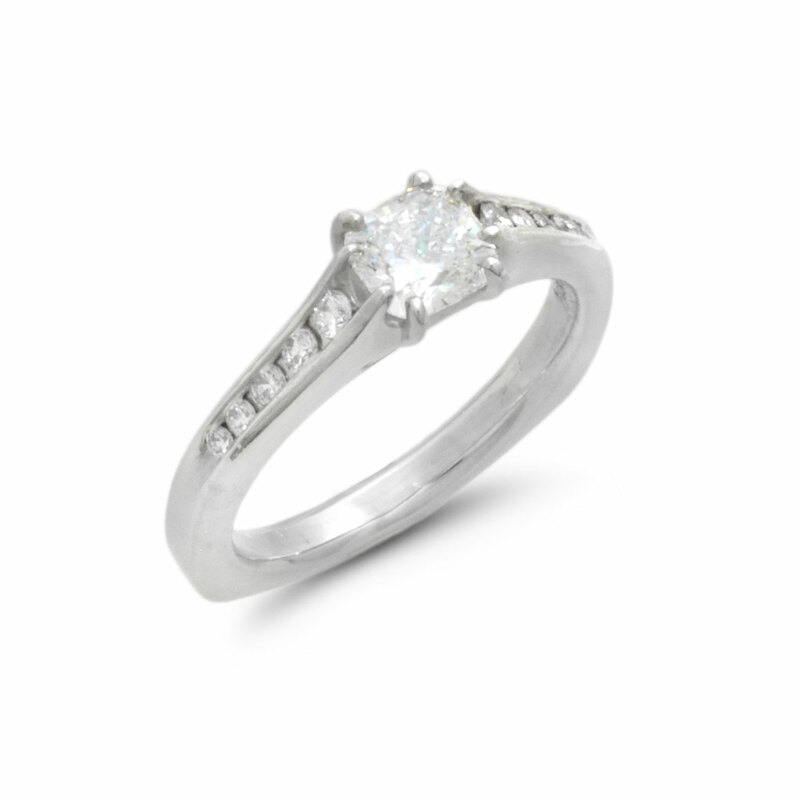 Similar in style to WR0154.